Some time ago I mentioned that I received one of these in my weekly veggie box.. 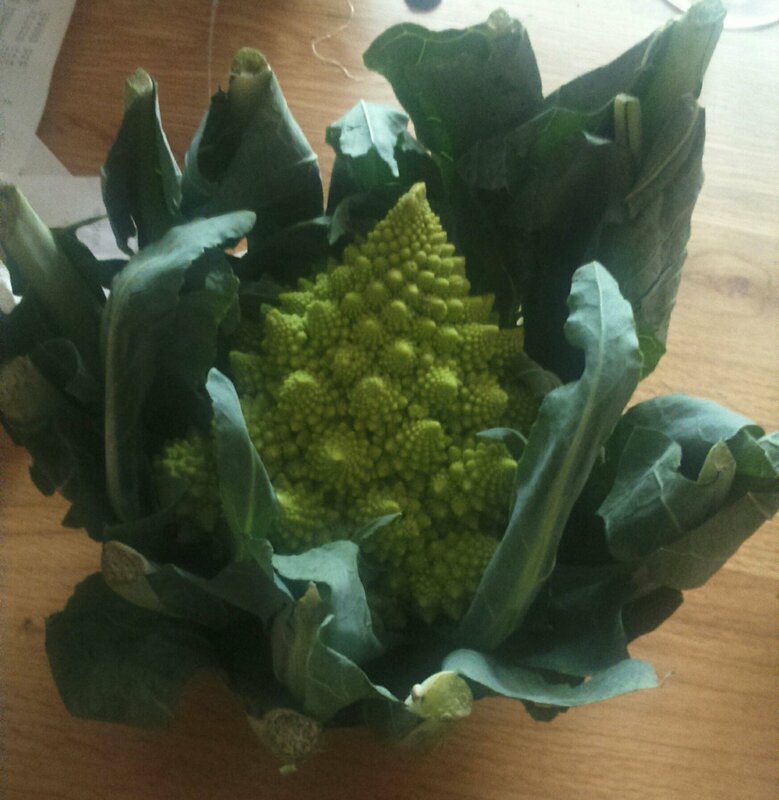 Anyway, the vegetable in the picture is called Romanesco. I’ve always thought of it as a cauliflower but I’ve more recently learned that it’s more closely related to broccoli. It doesn’t really matter because both broccoli and cauliflower are forms of brassica, which term also covers things like cabbages, kale and spinach. All are very high in vitamins and are also very tasty if cooked appropriately. Incidentally, the leaves of broccoli and cauliflower are perfectly edible (as are those of Romanesco) like those of cabbage, it’s just that we’re more used to eating the flower (or at least the bud). Logarithmic, or at least approximately logarithmic, spirals occur naturally in a number of settings. Examples include spiral galaxies, various forms of shell, such as that of the nautilus and in the phenomenon of phyllotaxis in plant growth (of which Romanesco is a special case). It would seem that the reason for the occurrence of logarithmic spirals in living creatures is that such a shape allows them to grow without any change in shape. P.S. 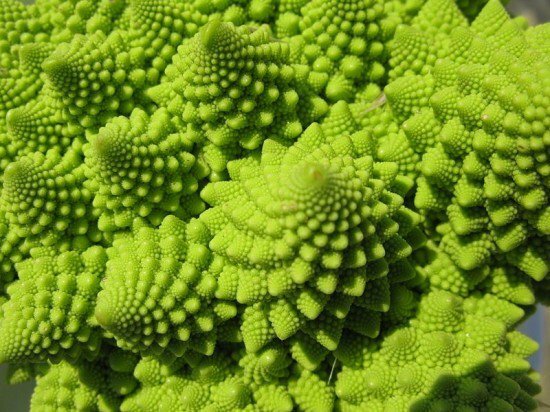 One thing the Physics World piece fails to mention is that, regardless of its geometrical properties, Romanesco is really delicious!